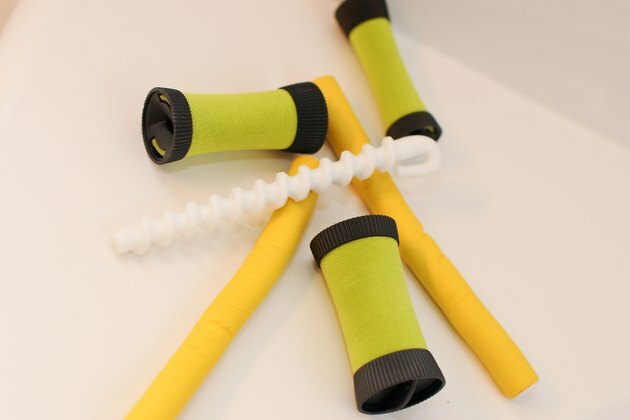 Foam rollers -- soft, cushion-like foam and a plastic rod and clip that secure the hair -- are gentler on your hair than many other styling tools. They don't use heat to curl the hair, and the foam is unlikely to snag or damage your hair. 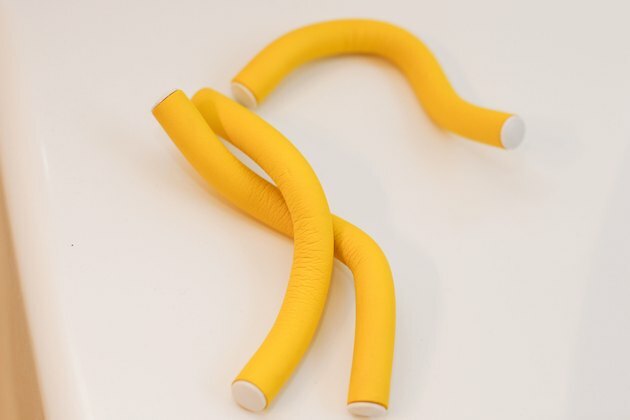 They're also more comfortable than hard rollers. Start with clean, fully dry hair and plenty of time for the hair to set. 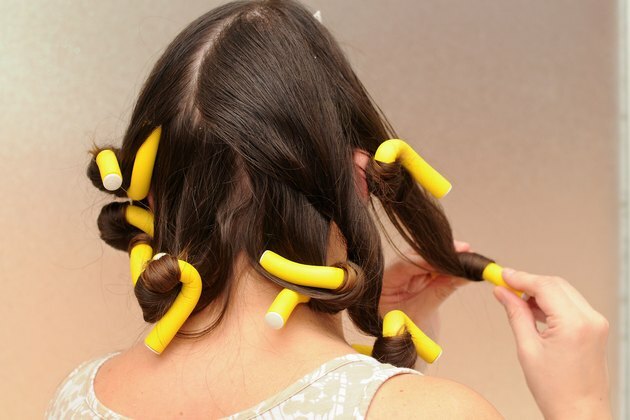 Setting your hair at night and sleeping with the rollers will give you long-lasting curls. Select rollers based on the type of curl you want. As a general rule, the larger the curler, the larger the curl. Apply a setting lotion to your hair. A setting lotion helps to alter the hair structure without heat to ensure a strong curl. Clip your hair into sections. 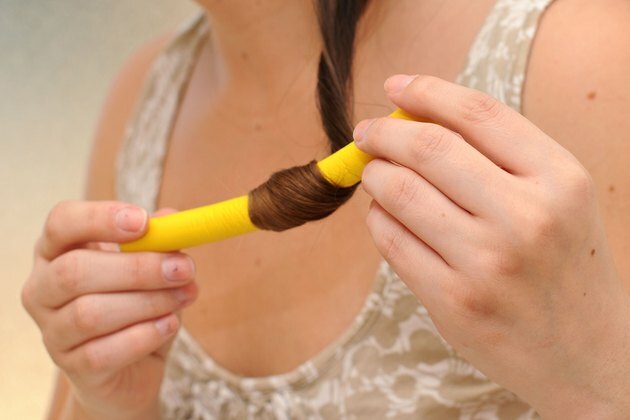 This makes it easier to put rollers in the bottom portions of your hair. Create a top section first, and then separate the sides and bottom layers. 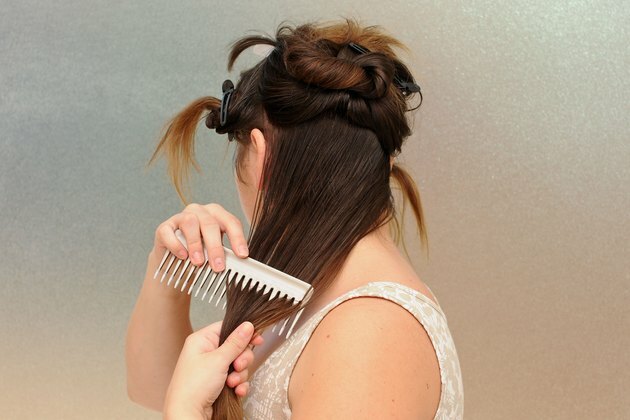 Comb through a section of your hair at the base of your scalp. Comb until the section is smooth and without tangles. 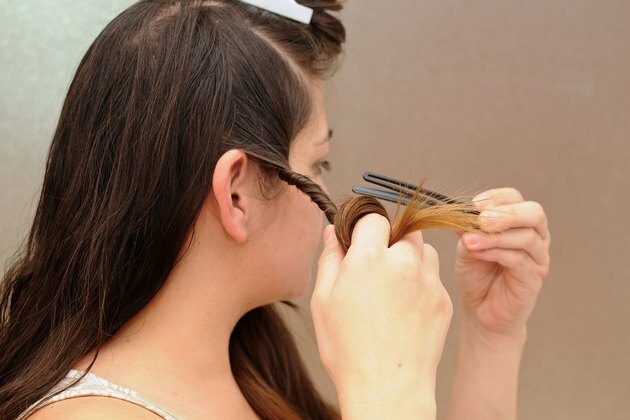 Separate the hair into 1- to 2-inch sections. 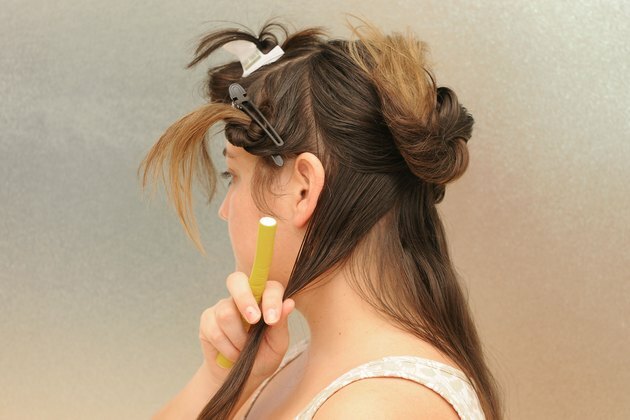 Pick up a curler and place it at the bottom of a section of hair. Roll the roller up to the scalp; snap the clasp on the roller closed. If you are having a hard time getting the end to stay, begin in the middle of the hair, and then twist the hair around the roller. If you want more hold, spray the section with hairspray. Repeat throughout each section, leaving the top for last. Allow the hair to set for several hours or overnight. Unhook the clasps on the rollers and unroll your hair. Spray hairspray on your hair to further strengthen the hold. 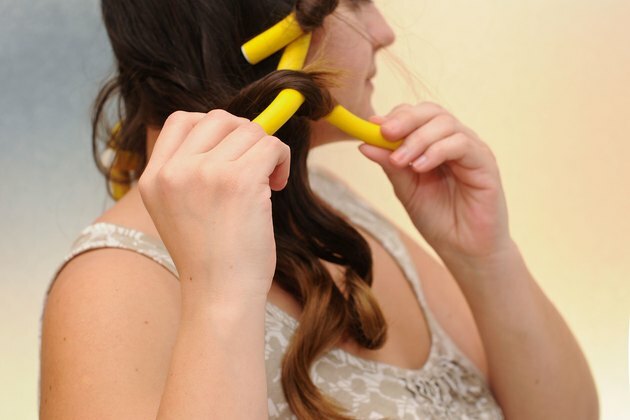 Gently run your fingers through your hair to shake the curls loose. If you would like your hair to be curled in ringlets, hold the rollers vertically as you wind them. If you would prefer your hair to be more curled under, hold the curlers horizontally.